Experience the powerfully moving historic sites that mark Pearl Harbor's place in World War II from AIR, LAND, and SEA. Includes a 45 Minute Helicopter Flight! Please write your hotel name, Hawaii address, or the Cruise Ship Name and Pier Number. Your pick-up location and time will be provided with your confirmation. If you really want to experience Pearl Harbor, this is the best way to get different perspectives. 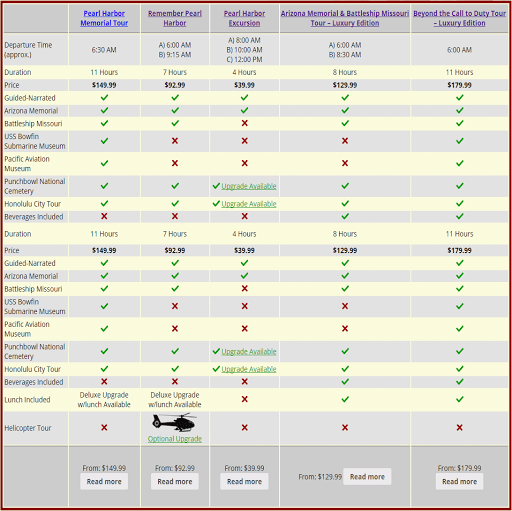 The Air, Land, and Sea Pearl Harbor Tour lets you relax and take in the sites while we handle the details of transportation, entrance fees and tickets, flight plans, and more. The “bookends of World War II in the Pacific” are an important part of sightseeing in Hawaii. It begins with the attack on Pearl Harbor and the sinking of the USS Arizona and ends with the signing of the Japanese surrender on the USS Missouri. This tour includes a visit to both the USS Arizona Memorial and the Battleship Missouri. On your drive to Pearl Harbor, your expert guide will share the history of these important sites, December 7th, 1941, and World War II. The incredible film at the World War II Valor in the Pacific Visitor Center sets the scene, vividly depicting the attack on December 7, 1941. Next you will board a Navy shuttle to the USS Arizona Memorial, where you can look below at the ruins of the sunken USS Arizona battleship and the oil still seeping out after all these years. At the Pearl Harbor Visitor Center you will have free time to explore the exhibits, museums, and bookstore, and enjoy a snack or meal before going to nearby Battleship Missouri. Aboard the “Mighty Mo,” you will enjoy a guided tour of this great battleship and learn about her historical importance. Walk on the “Surrender Deck,” where WWII ended in Tokyo Bay. See a copy of the surrender document from that important day. Walk through the USS Oklahoma Memorial, a monument to those who lost their lives on the Battleship Oklahoma during the attack on Pearl Harbor. After Pearl Harbor you will board an American Eurocopter Eco-Star and take to the skies over Oahu. On this 45-minute helicopter tour you will begin with Waikiki Beach. Glide over the turquoise waters. Look down into famous Diamond Head Crater. View crescent-shaped Hanauma Bay, white-sand Waimanalo Beach, Chinaman’s Hat and the beautiful coral formations in Kaneohe Bay. Soar over the cliffs of Nu’uanu Valley. Finish with sweeping aerial views of Pearl Harbor, the Arizona Memorial and the Battleship Missouri. You will return to your hotel with memories for a lifetime. What an adventure! A no-host lunch stop will be scheduled at a Pearl Harbor restaurant. Snacks are available at the Arizona Memorial Visitor Center and the Battleship Missouri gift shop. Absolutely AMAZING. We really enjoyed our tour, but wish we had more time. We did get a special experience with a ceremony at the Arizona with officers playing taps. From the helicopter, the views, the scenery were awesome. We have been on numerous helicopter tours and this one was by far the best for scenery, comfort. And not a bad place anywhere on the chopper to see the spectacular sites. Our shuttle picked everyone up from their hotel around 6am as to beat the morning traffic, and headed to our first stop which was Pearl Harbour. The Pearl Harbour tour was very informative and although quite a somber experience, it was also very interesting. Then we took a helicopter around Oahu and this was so much fun! I have never been on one before. Definitely an exciting way to catch some epic views! Although I’ve visited Oahu 6-8 times to visit my in-laws, I’ve never toured the island by air. I’ve visited all of the normal tourist sites and until last week did it all by car. Bar-none, if you plan on doing Pearl Harbor, the helicopter tour is the sure thing to do after. From the start everything went very smooth, we got picked up on time from our hotel and the staff were all so lovely and knowledgeable. Very enjoyable tour. Get to see the island from a completely different perspective. Staff very friendly. Highly recommended. It was fantastic! I booked as a present to my husband for our honeymoon in Hawaii and we definitely weren’t disappointed. Many attractions, sites and beaches will be pointed out during the flight. Well organized and great staff on hand including the driver. During the flight, he ensured everyone on the helicopter had great views of the important sites. I thought I knew a lot of history of Oahu but I learned more with our pilot. Got to tour Pearl Harbor and soar above Oahu in one day! I had a great time! This was my first helicopter ride and I was a little unsure what to expect. From the time I was picked up at my hotel to the time I was dropped off, the staff was welcoming and saw to all our needs. We also got to see a whole lot more of the island than we could have from our rental car. I will say it again. Nice smooth trip, the pilot knows the island well and was able to tell us all about the island. He would make sure all the passengers in the helicopter could see all of the things he was pointing out. It was a nice finish after touring the Pearl Harbor Memorial. We booked an open door helicopter flight. It is a great way to see the Island of Ohua and would be beneficial to do when you arrive. We had some bad weather around our flight time and they took extra time to watch the weather. The delay was worth the wait! Pearl Harbor was a sobering experience. Just when you thought you knew most everything about it, this tour educated me even more. The driver had loads of great information. The exhibits, movie, and memorial site told the rest. At the end of the memorial tour we stepped on to a helicopter to make an epic tour around most of Oahu! So beautiful. Highly recommend the helicopter if you can swing it. 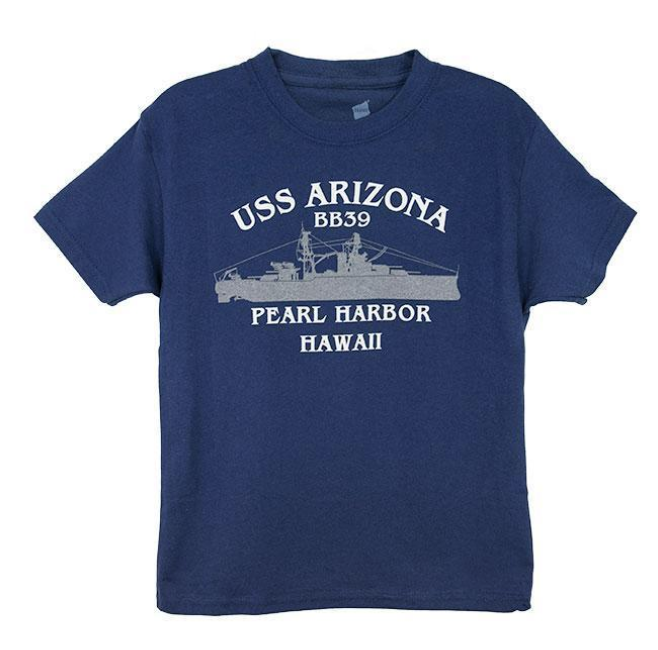 Every family should figure out a way to see Pearl Harbor. The expense of getting to Hawaii was astronomical and difficult for us to manage but after visiting Pearl Harbor and feeling the awe and emotion that still surrounds this beautiful, tragic place made every penny worth spending. The helicopter ride was so much fun and the scenery was very impressive. It was a great way to see Oahu from above, but still close enough to appreciate its details.